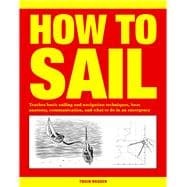 Twain Braden is a sailor and journalist of many years’ experience who has worked for the American-based offshore sailing magazines Ocean Navigator and Professional Mariner. As a staff member of the Ocean Navigator School of Seamanship, Twain has taught radar navigation, piloting and celestial navigation in various cities in the United States. He lives in Portland, Maine.